If this is your first visit to our school I hope our website gives you a flavour of what our school is all about. If you are visiting as an existing member of our school community I hope you feel that what you see reflects what is happening in our fabulous school every day of the year! The staff at Holly Hill are committed to providing a high quality educational experience for all children that is stimulating, relevant, interactive and engaging. Although our school is big, it is warm and welcoming and has a family feel. Our children are encouraged to care and be respectful - that is 'the Holly Hill way' of doing things. We provide a broad and balanced curriculum that encourages children to be successful and resilient learners and we aim to widen the experiences and opportunities available to every child. 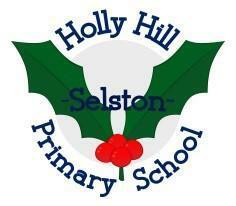 We are all very proud members of the Holly Hill community and the children here wear the uniforms with pride! We say that when you are wearing your uniform you are a Holly Hill hero - you can achieve anything you work hard for and should always aim high! We believe that every child can achieve their full potential and we ensure that every child is happy, safe and thriving in our care.